Earlier this year The Valley Patriot published a report concerning the health dangers of leaking windows and the long term effects of the leaking roof at the Haverhill Police Station. These issues have existed going back to the actual construction of the station in 1998 and resulted in mold and mildew inside all the walls of the station causing health dangers for the city workers who spend time in the building. As part of our ongoing investigation into the corruption and mismanagement of the Haverhill Police Station construction project (that has led to the waste of millions of taxpayer dollars in repairs), The Valley Patriot has also obtained documents showing additional malfeasance on the part of Haverhill officials. Documents obtained by The Valley Patriot show that the sprinkler system installed in the Haverhill Police Station during construction was recalled in July of 2001, just three years after completion of the project. City officials never had the sprinklers replaced. The Sprinkler system was installed in 1998. The Haverhill Police Station has been plagued with problems since it’s construction, putting the health and lives of officers at risks. According to the recall documents, the sprinkler recall was updated in May of 2003, yet city officials continued to allow police officers to work in a building that had a defective sprinkler system, putting their lives and the lives of prisoners being held there in serious jeopardy. A recall update is modification to the original recall, which allows the city or purchaser of the sprinklers to hire their own contractors instead of a central fire system contractor to do the work. 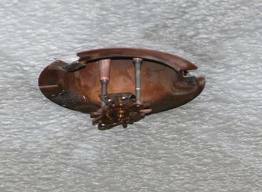 Had city officials taken advantage of the recall, or the recall update, the sprinkler system would have been replaced at no cost to the city. Now, the city is on the hook for all repairs or replacement of the system. The sprinkler system was sold to the city by Central Sprinkler Company, a division of Tyco Fire Products LP of Landsdale, Penn. The initial recall of the sprinkler was initiated by the US Consumer Product Safety Commission. Haverhill Police Chief DeNaro, (who was not the chief when the station was built), says he put in requests for approximately $7K in his police budget last year to replace the faulty system, but that funding was cut out of the police budget by Mayor Fiorentini. The chief is also submitting the expense request in his budget again this year. Valley Patriot sources say that city officials recently found out about the faulty sprinkler system when an outside company was contracted to certify the sprinkler system as part of a required safety inspection. For the last 15 years, Haverhill officials have done nothing to rectify the black mold problem, the mildew problem or the faulty sprinkler system problem, all the while Haverhill Police officers and others were in imminent danger if a fire were to break out. The Valley Patriot has obtained documents form several state and federal agencies showing they were notified of the defective sprinkler problem. 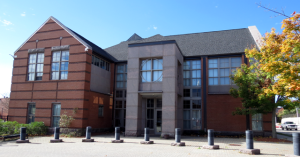 Even OSHA did not react to this sprinkler recall at the Haverhill Police Station despite the fact that the recall specifically alerted all National Fire Safety agencies to the defective systems. All government and state agencies were notified as well as all companies involved with design and installation of fire suppression systems, which included the engineering and architecture industries. The Valley Patriot will be monitoring the Haverhill police budget to see if Mayor Fiorentini once again takes funding to replace the sprinkler system out of the budget and continues to allow city workers to be in danger every day they go to work.